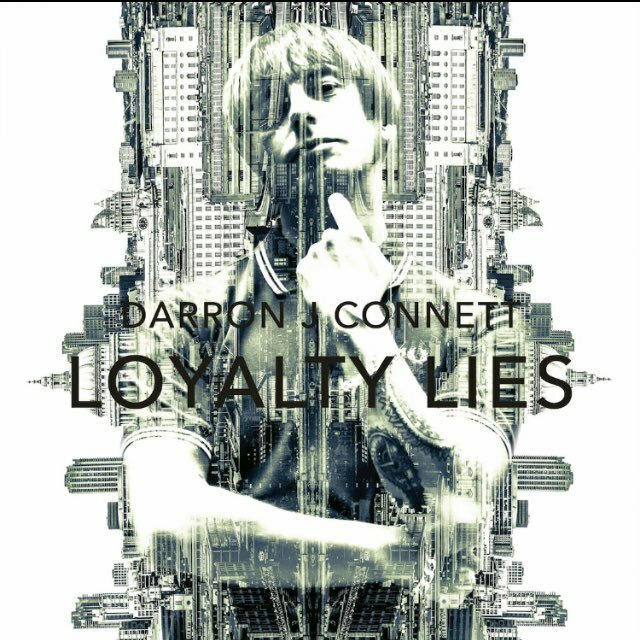 'Loyalty Lies' is well produced and really captures Darron's 2017 sound. Like all good Modernists Darron is subject to change and will progress his sound as the time goes by. It's got a great feeling to it as a complete unit of work. Darron has put blood, sweat and tears into this LP and it's definitely been worth it as it's a great listen. An album which should be getting mainstream airplay but won't due to the thousands of hours of dross they insist on playing instead. 'Loyalty Lies' includes a whirlpool of influences and sounds. If you ever wanted to listen to a diverse album that takes you on a journey then this is the one. The production is superb and carries the album along at a nice pace. It's an easy yet entertaining listen. From the off you can tell Darron is not messing about. He's eager and hungry for this record to succeed and I definitely think he's on the right track in doing so. The sound is big and each track hits you right from the off. You can tell the hours of blood, sweat and tears that have gone into this LP and Darron has definitely put his all into it. It's refreshing to see a solo artist putting his name on the line I guess you cold look at 2017 as the year of the solo artist with both Gallaghers offering us their latest efforts. DJC is definitely in some fine company. Darron takes his own path though, he hasn't had a huge social media team behind him, unlimited funding, record company backing or mainstream radio play. He's done it through his own graft and sheer determination and that's something that every listener should take into account when listening to 'Loyalty Lies'. It's a real album made by a real musician. The album starts off at a quick pace and gets the listener interested instantly. The tunes called "Seen It All Before" and has some great lyrical coups in it. "It's a lemonade life and you drink Champagne" Oh every weekend mate haha! The guitars are sounding great and so is Darron's vocal, great opener. "How Dare You" has got some great harmonies in it and once again shows just how versatile Darron's vocal is. It's a love ballad and properly gets the foot tapping on the bodies of the sussed. There's some great strings in this tune and it really adds to the overall richness of the song. "Falling" has an electro vibe with hints of New Order in there which adds a great alternative balance to the album which sees a lot of guitar being used. Well played man! There's a really positive feeling to the LP which carries on throughout all eleven tracks. "As Long As There Is Love" is a great ballad that really captures the feelings and takes the album on another slant. Great tune. I really dig "Red Balloon" and its upbeat feel another great addition to a quality collection of songs! "The Universal Merge" once again highlights Darron's natural ability to write great songs and it shows another side to his vocal giving off a more delicate tone to previous songs. They're just some of my personal highlights but if you want to hear the rest of the tunes go out and buy the LP yeah! ?